A quick and easy way to install realistic concrete hardstanding on your layout. 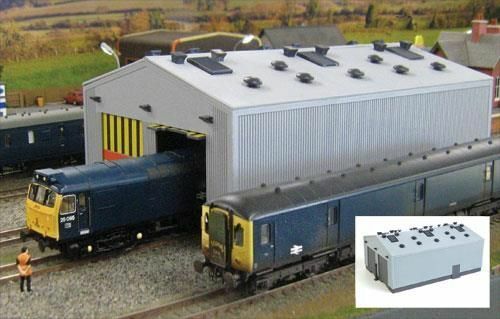 Perfect for maintenance depots, engine sheds, distribution depots and more. 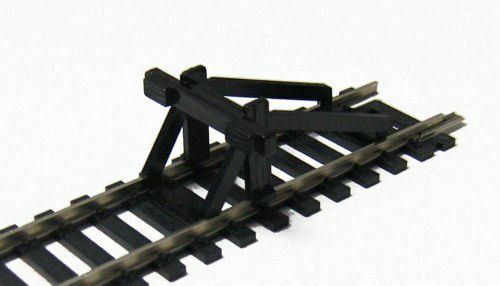 This kit comprises of a series of 2mm thick, laser cut MDF strips designed to sit between and over the sleepers on standard Hornby & Peco track, giving the appearance of the rails being embedded into the concrete. Also included are two A4 sheets of realistic, weathered concrete hardstanding texture sheets, with expansion gap markings etc to cover the MDF strips with. 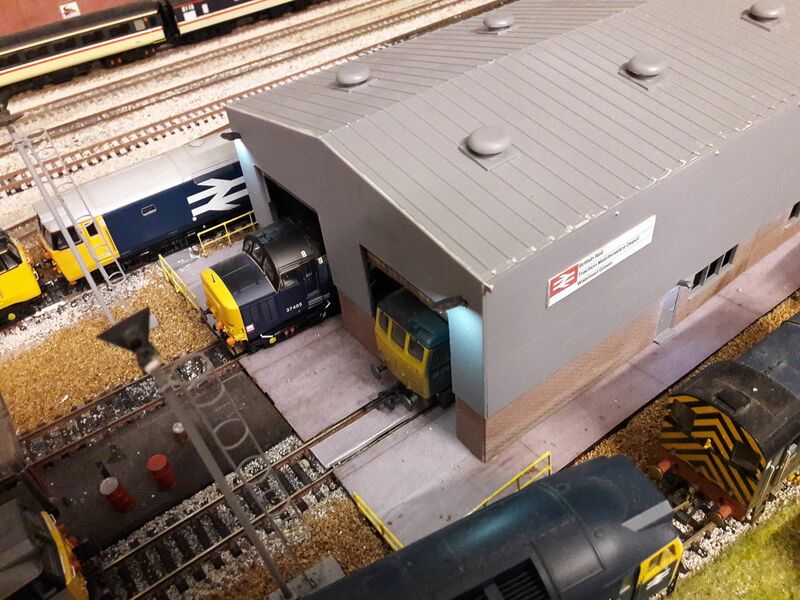 For a demonstration of how to install this kit on your layout, please see the video below. 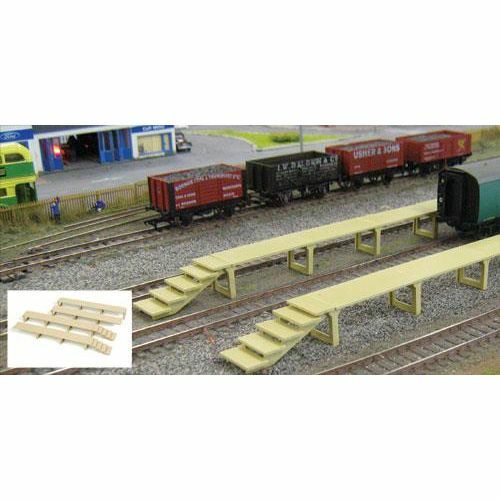 A single kit contains enough parts to build hardstanding for a 2 lane engine shed or traction maintenance depot with a width of up to 46mm either side of the outer tracks for the 67mm version. 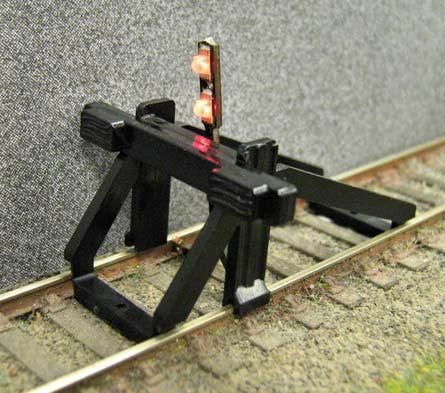 Dimensions for Peco Streamlined version to be confirmed. 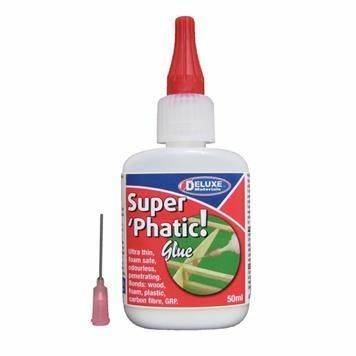 Recommended glue: Deluxe Materials DLAD-21 Super Phatic or Evo-Stick Wood Glue for gluing MDF strips. Spraymount, UHU or Pritt Stick for gluing the texture sheets to the MDF. 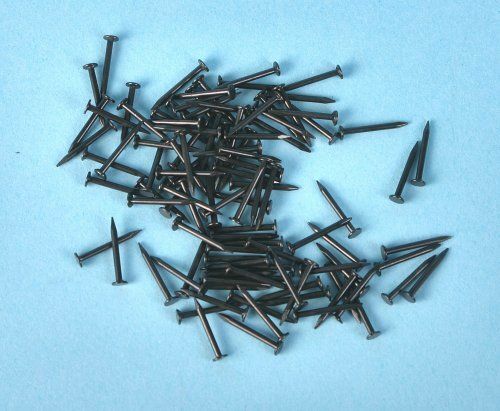 Hi Tina, I purchased the LX096-00-B Concrete Hardstanding Kit x 2. The kit was very well produced and easy to separate the individual parts, it was also nice to see that each part had it's on identification letter (A-E). I was using the kit to provide a concrete hard standing for a three line Intermodal Terminal. Now as there are only 2 "A" parts in each kit I have had to use an "A" part from the other kit. I would be nice if an extra kit with just "A" parts could be produced. Any way I am pleased with the kits they do the job I wanted them to do.